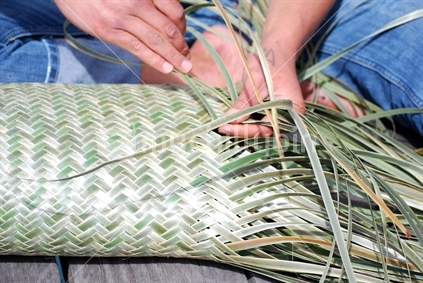 Maori kete weaving, in the sun. No 4. Maori kete weaving, in the sun. No 4 - mychillybin genuine NZ photo image.